They got the stop. 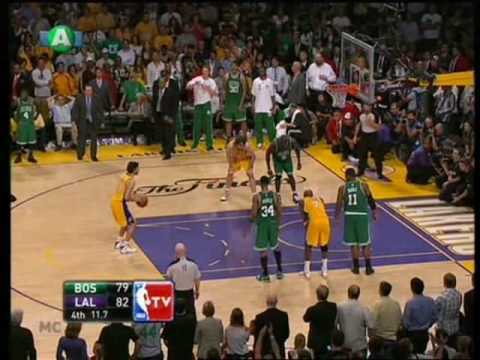 Trailing by three points in the final 30 seconds, the Celtics got Kobe Bryant to brick a 3-pointer from the top of the key, giving them a chance to tie the game. There was Pau Gasol grabbing the offensive rebound. And soon thereafter there was Kobe getting fouled, making two free throws, and, well, that one play typified the entire evening. The Celtics are going home without the Larry O'Brien Trophy because the Lakers simply outmuscled them, outmaneuvered them, and pretty much did what they had done two nights earlier on the glass. They had their way. The comparisons between Kobe Bryant and Michael Jordan fell as flat as Bryant's jump Thursday night. Instead, Bryant was conjuring up memories of John Starks circa Game 7, 1994 with each excruciating minute. Arguably the best player on the planet, Bryant turned in a simply horrific shooting performance on the Thursday night of the NBA season, with a little help from the Boston Celtics of course. But when it came down to winning time, or as Phil Jackson called it "the moment of truth," Bryant and the Lakers found a way to retain their championship status. 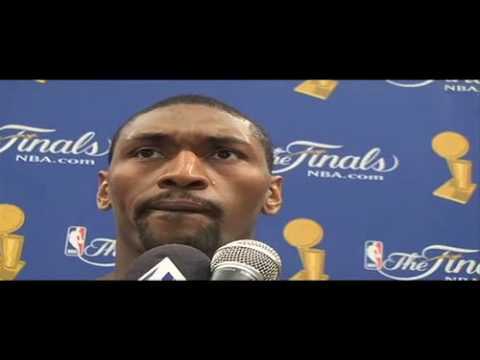 Ron Artest was the MVP of the game, Laker coach Phil Jackson said after a thrilling Game 7 win over Boston in the NBA Finals. With 20 points including some tough defense over the visiting Celtics, Artest even roughed it up with Paul Pierce at the end of the second quarter. But with about five minutes to play in the fourth quarter the Lakers pulled away from the Celtics to get their second NBA championship in a row. 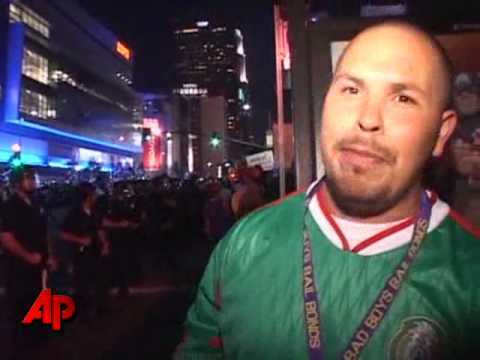 Police called the area surrounding Staples Center an unlawful assembly around 9 p.m. There have been reports of small fires and predictable disturbances around downtown Los Angeles. Throughout much of an hellacious, historic night at Staples Center on Thursday, the Lakers have rarely been so human. Yet in the end, awash in confetti and love and a giant ball of gold, they have rarely been so immortal. Struggling through one of their worst starts of the season, the Lakers finished with one of their greatest moments ever, climbing back from a 13-point deficit to defeat the Boston Celtics, 83-79, to win Game 7 of the NBA Finals and clinch their second consecutive championship. Andrew Bynum popped champagne in the middle of the hallway outside the Lakers locker room.